The first pulpit, altar, and candle holders were made for the congregation by John Mueller. The first Communion ware was donated by a church in St. Paul. The first baptismal fount was made for the congregation by Herman Guetzkow. The first child to be baptized in the St. Stephen's Lutheran Church was Esther Breintenbach, infant daughter of Mr. & Mrs. Al Breintenbach. Members of the first confirmation class were Corona Nordquist and Arthur Siewert. The first funeral service was held for Frank Wolf. The congregation was then served by Rev. J.F. Moebius from 1913 until 1930. In 1931, the Rev. H.E. Sieving came to serve as pastor until October of 1948. 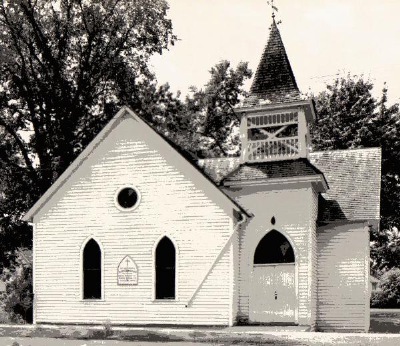 It was in 1931 that St. Stephen's became a member of the Lutheran Church-Missouri Synod. In 1938 German Services were discontinued. In the year 1945 the purchase was made of an American Flag and a Christian Flag for the church. The Rev. H.E. Sieving received a call to Hawarden, Iowa, and accepted in November of 1948. The Rev. Edmund Bentrup came to serve from 1949 until August of 1951. Plans were started in 1949 for remodeling the church. In 1950, $5,000.00 was borrowed for remodeling and they had the dedication on February 19, 1950. Membership at the time of dedication was just over 100 communicant members and Sunday School not quite 40. Offerings on the day of dedication reached over $960, with the dinner swelling the total to the sum of over $1,345. On October 11, 1950, it was agreed to join Rush Lake and Rush City in calling a pastor. It was decided that the pastor would reside in Braham. The first resident pastor to serve the St. Stephen's congregation was the Rev. M. Gunderman who came in 1951 to reside and serve St. Stephen's and St. John's Lu­theran Church of Rush City from September 1951 until May 1953, when he left to serve as a chaplain. A parsonage was purchased in 1953 for $4,300. The Rush Lake congregation was dissolved, with fourteen members coming to St. Stephen's and sixteen going to St. John's. 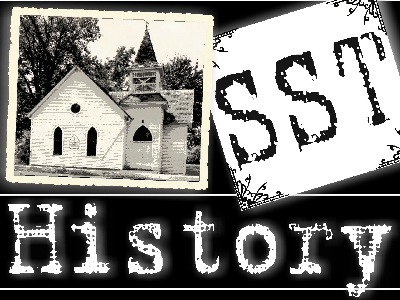 In 1951 the first Vacation Bible School was held. The Rev. Reuben Meissner came July 26, 1953, and served as pastor until he re­ceived a call from Trinity Lutheran Church, Appleton, Minnesota in September, 1955. In 1954 a different house was purchased to be used as the parsonage. This house was lo­cated on the corner of Fourth Street and Cypress and cost $6,500. A call was issued to Rev. Martin Hauser of Luverne, Minnesota, who took over his duties in Braham in 1955 until September 1959. In May 1960, Pastor Floyd Kruger accepted the call to serve at St. Ste­phen's. Pastor Kruger served until August 1965. In October 1965 Pastor Burton Betow was installed. In November 1966, after much discussion, three acres of land southeast of Braham on County Road 4 was bought at a cost of $2,500. Pas­tor Betow served St. Stephen's until November 1968. In July 1969, Pastor John Davis accepted the call to St. Stephen's. Ground breaking was held in May 1971. A walkout basement, 82'x 42' building was begun on the land. The basement included a kitchen, six classrooms, rest rooms and had a seating capacity of approximately 212. The cost of constructions totaled $55,000. On December 5, 1971, dedication was held for the new church facility. After votes at the July 1972, October 1972, and January 1973 meetings, women of the Church and 18 year olds were given the right to vote. Pastor Davis left St. Stephen's in June 1976. A special meeting was called on June 28, 1976, and building plans were presented that would complete an upstairs on the basement. Construction started on this up­stairs in July 1977. Pastor Paul Bartz was installed in June, 1977 and in July several St. Stephen's women started an altar guild society. February 12, 1978 was Dedication Sunday of the completed upstairs with Pastor Wilbur Franzmeier, First Vice-President of Minnesota North District, as guest speaker. As a memorial to Mr. and Mrs. Fred Stoeckel the "Good Shepherd" stained glass window was presented and installed in the entryway in October of 1978. Using memorial monies, a stained glass window was ordered and installed above the altar in the fall of 1979. In May 1980, church pews were ordered and were dedicated in October 1980. During this time the pastor's study and secre­tary office were completed. Pastor Bartz left St. Stephen's at the end of May 1981. Pastor Edward Behling accepted the call to St. Stephen's and was installed on May 2, 1982. In July, 1983, a proposal was made to purchase a home for $68,000 which included the building site and 7 acres. A cry room, storage room, and rest room were completed upstairs in the church in 1984. Also, in October, 1984 a stained glass window of Martin Luther was given as a memorial and was the first of several stained glass windows to be put in as memorials. A much needed increase in the size of the parking lot was completed in 1986, along with a fresh coat of paint, new carpet and kitchen linoleum in the church base­ment. In July of 1988 a lighted outside cross was installed on the west side of the church using designated memorial monies. In March 1990 the organ was purchased from Phil and Debbie Rolf. In December 1991, St. John's Lutheran Church in Rush City called their own pas­tor so that St. Stephen’s is no longer a joint parish. Also in December 1991, Pastor Edward Behling officially retired, but he stayed on through March 1992. On June 20, 1993, Seminarian Richard Harre was ordained and installed as pastor of St. Stephen’s. In September 1996, the 3-acre land purchase from Jim and Cathy Finnerty was completed. The land is just north of our present property line and was purchased for $18,000. In August 1997, the choir purchased a clavinova and a new sound system was installed in the church. Pastor Richard Harre left in September 1998. Pastor Harvey Johnson began serving as interim pastor. In June 1999 Pastor Johnson accepted the full-time call. Groundbreaking was held in August 1999 for the elevator addition. The new addition was completed in the fall of 2000. Pastor Johnson left in October 2003. Pastor Mark Mueller served from January 2005 to June 2007. Pastor Steve Anderson served from July 2008 to August 2014. Pastor Glen Kleppe served as interim pastor from August 2014-May 2015. ​Pastor Tim Renstrom was installed in May 2015.